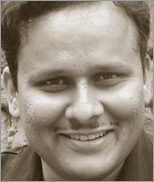 Subbu Allamaraju is a Principal Member of Technical Staff in the eBay’s platform engineering team. Prior to that he was at Yahoo! and BEA Systems. At eBay, he leads the development of next-gen platforms like ql.io. For a complete list of his works, and writings, see http://www.subbu.org.